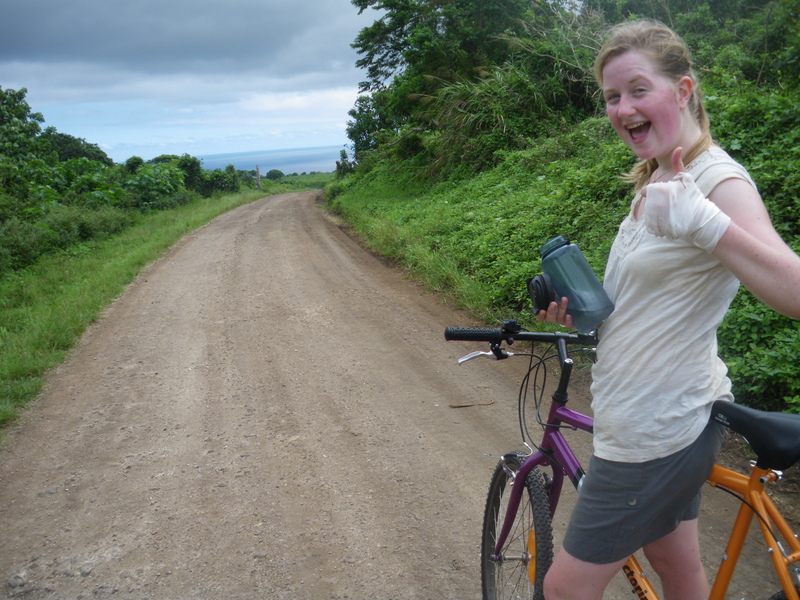 When my sister returned from her gap year in Malawi, I was busy sitting my AS levels. But her stories had me hooked. I counted minutes of revision alongside minutes on google earth, flying from continent to continent in search of my own Malawi. As my sister’s gap year with Lattitude had worked out so well, I decided to go with them. and I started researching the countries and projects they supported. I wanted to work with people, either as a teacher or on community projects and I wanted to stay for six months. South America and Tanzania were possibilities, but I eventually settled for Vanuatu in the South Pacific. I spent the summer working as a chugger, collecting charitable sign-ups on streets. The pay was fairly good and accommodation was provided, so I saved enough for the flights. In the autumn I moved to the south of France and worked in a boarding school where food and accommodation were provided so my so saving steadily mounted, untouched until I needed it. I left home on a rainy January evening, flew around the world and finally arrived at Efate, the main island in Vanuatu. Exhausted, jet lagged, sweaty and already nibbled by mosquitoes, Catherine, my volunteer partner and I had one final leg of the journey to our new home on Tanna. Luggage and hand luggage were balanced atop weighing scales, pencil calculations were made and the bags were piled cumbersomely by the side of the airport desk. Then it was our turn. We shuffled onto the scales together, holding one another’s elbows as our combined weight was pencilled in. The substantial weight of our bodies, combined with bags and books, packed high enough to last six months, was just light enough to send us through to sit, luggage piled on laps, in the last two seats of the twelve seater propeller plane which took us to our new home. The following few days passed in a haze as we met new neighbours, colleagues, friends and students. Settling into our new home, we strolled around the small town and discovered nakamals — a meeting place by a banyan tree where kava, the local intoxicating plant root, was chewed, diluted, drunk from coconut shells and promptly spat out again. This became a familiar over the six months, despite us both being female, and kava being traditionally a male event. At another banyan tree meeting place we met many of the wives of the kava drinkers, who sat in the shade of the tree on woven plant leaf rugs on the sand, babies slung across chests in colourful shawls, selling papayas, avocados, bananas and mangoes kept free of flies by an occasional wave of hand or shawl. 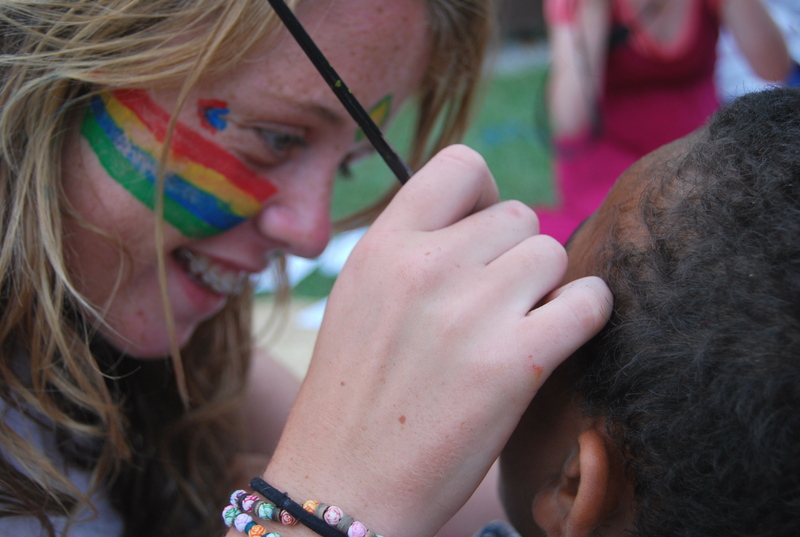 Did my gap year benefit the local community? I imagine this is a question I will struggle to ever find an answer to. Whilst there, I often thought about my role and the wider role of gap year volunteers in less developed countries Slightly uncomfortable undercurrents seem inescapable to an industry which sends unqualified western gappers to work for a few months abroad before going to university. Harm can and very probably is done from time to time. 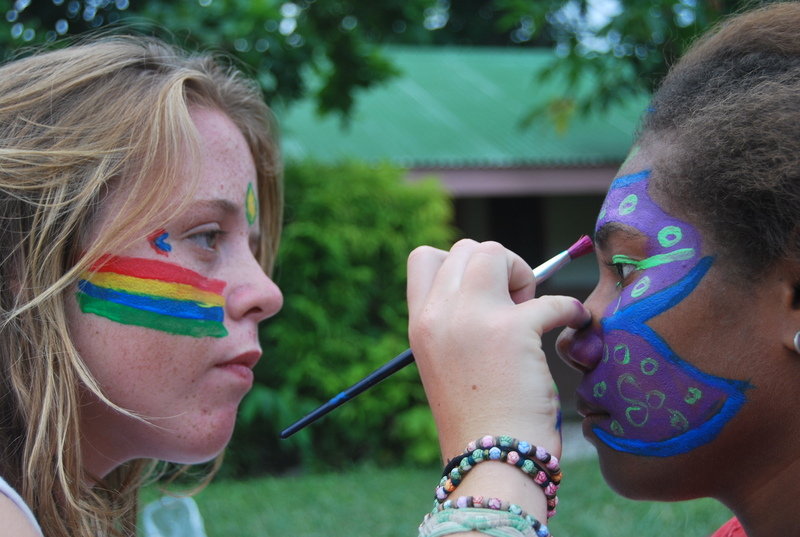 Equally, gap years offer enormous opportunities to both the volunteer and the local community and these are utterly invaluable. Forging genuine friendships and professional links across the globe allows for horizons to broaden and new ideas to take shape as stories are shared and daily lives are lived together. 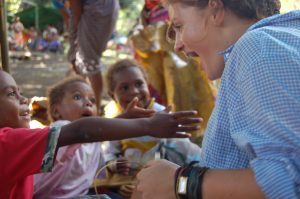 I have no hesitation in saying that the friendships I made and the sharing of my life with the lives of those I met on Tanna benefitted both me and the local community. Whether my teaching was so straightforward a benefit is harder to say. I very much hope it was, although with no training and little knowledge of the curriculum, it is hard to unreservedly declare my presence as a teacher as being beneficial. Despite feeling utterly privileged and welcomed by the community, I also felt very glad to hear that the house is now lived in by a local teacher, who has been teaching and living there since 2010 and plans on staying many more years. Although an evaluation of benefit, particularly ones own benefit, is so fluid and complicated a notion to try and pin down, I feel on balance, that the space of the house is now better used and the job better filled than by volunteers who stay for six months at a time. 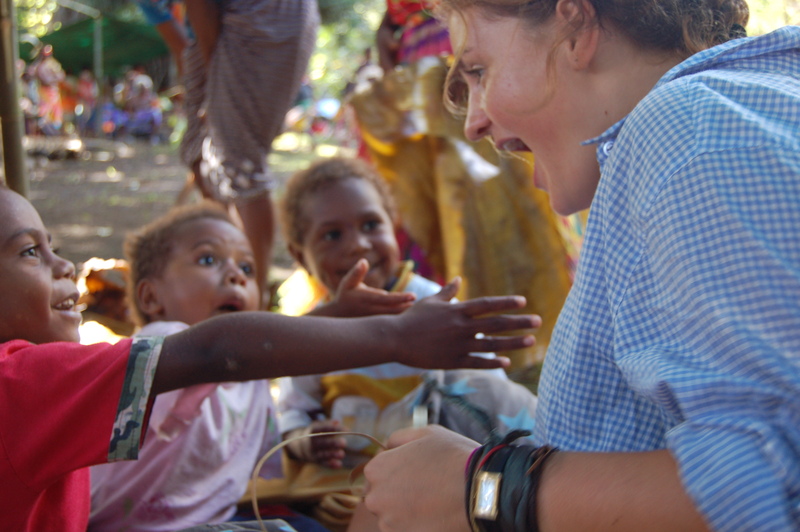 As I write this, I am returning from Tanna for a second time, eight years on. Returning to the place where I lived, laughed, cried and loved eight years later re-awoke this question of benefit for me. On walking into the school, I was first met by a painted sign which Catherine and I had done for the school. I had completely forgotten about it and was very pleased to see it at the school’s entrance. In the room I had lived inn, I had painted a huge parrot which remained on the wall. 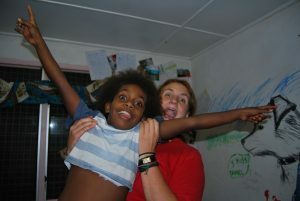 The young, ni Vanuatu girl who now lives there looked astonished, then yelped and whooped when I told her that it was I who had painted the parrot eight years ago. I also met up with Rhonda, a friend and colleague from the school, who filled me in on her life and the lives of all the students I had taught, many of whom are now at university. Whether the friends one makes within a community can be understood as a benefit to that community is hard to say. But if so, then yes! My presence did benefit the local community. A far easier question is whether my time there benefitted me, which it definitely did. It benefitted me beyond all expectations and continues to do so. 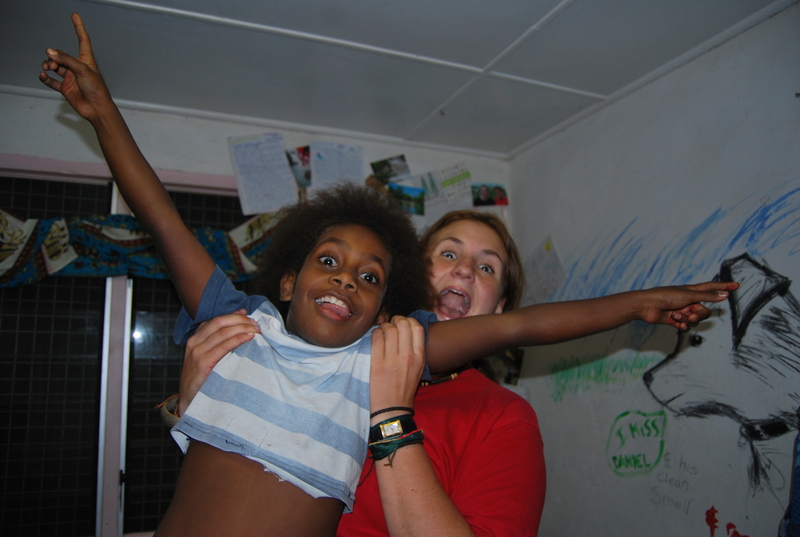 Professionally, personally and socially, my experience on Tanna continues to mould, influence and benefit me and will probably do so for many years to come. Clare took a first degree and a Master’s in English Literature. 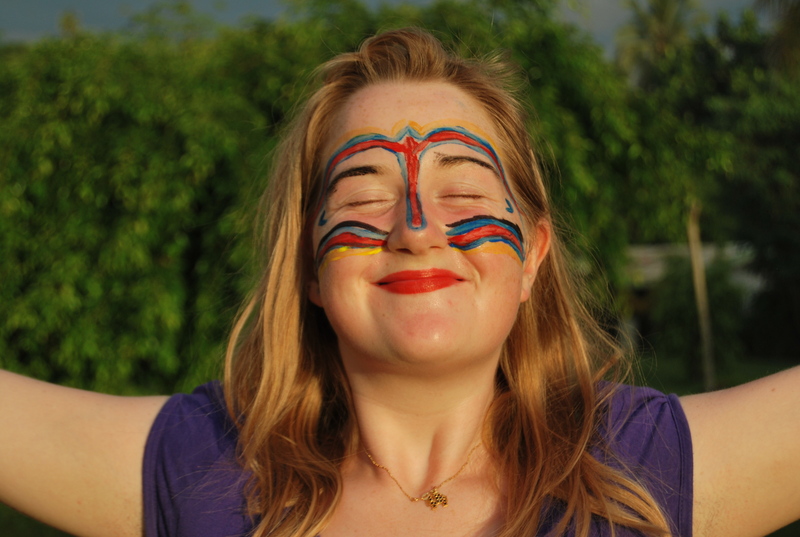 She plans to continue working in language teaching and research in the UK and overseas.